Atlanta, GA–(ENEWSPF)–June 12, 2017. 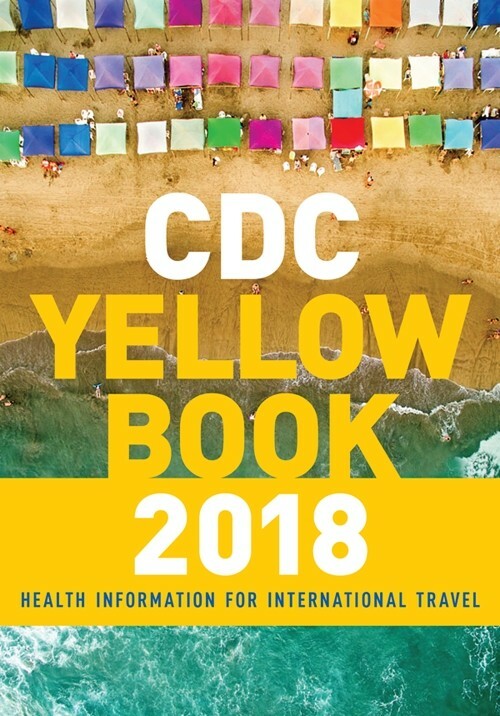 CDC’s 2018 Yellow Book, the definitive guide for healthy international travel, is now available for free online and for order in hard copy. The 2018 edition features significant revisions, updates to important travel health recommendations, new sections, and a fresh design that makes the guide easier to read. Nicknamed for its yellow cover, CDC Health Information for International Travel is completely revised every two years. It provides travel health recommendations and other features that help international travelers prepare for trips and stay healthy while abroad, such as when to get recommended vaccines and medicines before departure and symptoms to watch for during and after travel. The latest information about infectious disease threats such as Zika, Ebola, and MERS. Updated guidance for use of antibiotics to treat travelers’ diarrhea. Travel health recommendations for Cuba and Myanmar (Burma). New design for improved readability. Special considerations for wilderness expeditions, work-related travel, and study abroad. Precautions for travelers who are immunocompromised or have chronic illnesses. Practical tips for last-minute or resource-limited travelers. Advice for air crews, humanitarian workers, missionaries, and others who provide care and support overseas. Popular features from previous Yellow Book editions have been enhanced and updated for 2018, including sections on jet lag, cruise ship travel, traveling with disabilities, traveling with infants and children, international adoptions, and immigrants returning to their native countries to visit friends and relatives. The Yellow Book is available in hard copy from Oxford University Press and from major online booksellers. The content also is available online for free at http://www.cdc.gov/yellowbook.